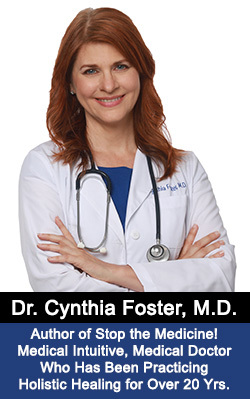 Dr. Foster's Healthy Weight Loss Program in Six Easy Steps! In my practice, I get countless requests for weight loss programs. 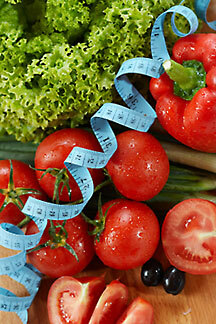 I see many of my clients getting onto fad diets and many other unhealthy programs in order to lose weight. 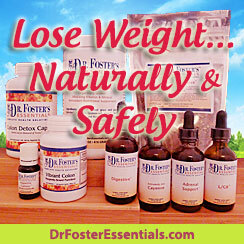 Unfortunately, fad diets and supplements are not designed for long term weight loss. My clients did sometimes succeed in losing weight on these fad diets; however, after just a few months, they had gained it all back again, and sometimes put on even more weight. I've watched entire herbal companies go out of business because their Ma Huang (ephedra) formula worked for a few years and then because no one responded to it anymore, they all gained the weight back. The goal is not only to get rid of excess weight, but to keep it off. While working with very ill clients, I noticed that when they completed my liver healing program, they lost weight. In fact, sometimes they lost weight so rapidly, they wondered if it was healthy. Yet, their symptoms were gone, and all of their lab tests showed they were now in terrific health. As long as they kept their liver healthy, they not only lost weight, but also kept the weight off. An added bonus was that they also rid themselves naturally of gallstones and high cholesterol problems. also helped to flush out excess fat from the body. in one week of the Liver Regeneration Program. A one week program to be completed once every 3 months. 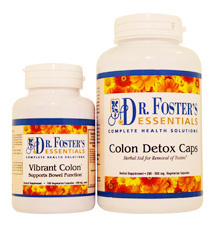 This includes either the Vibrant Colon Formula or the extra strength Colon Starter Plus Formula as needed in the interim. Continue taking either formula (or Flora-G Plus) as needed in the interim. Maintaining bowel regularity is extremely important for losing weight and keeping it off. As a general rule, the bowels should move once for each meal eaten during the day. A sign of good colon health is two to three bowel movements per day. Bowel movements back up when bowel regularity is not maintained. Many people carry around pounds of waste in their intestines and do not realize it until they complete this program and lose up to 25 pounds of it. Many people are amazed at how much clearer their skin becomes while on this program. They can't believe that their intestines had anything to do with their skin. 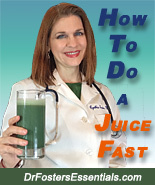 This liver cleanse is to be done in addition to the Intestinal Rejuvenation Program every 3 months. This includes the L/GB Formula and the Detox Chai Spice. These formulas optimize the functioning of the liver by unclogging the toxins that block the liver from properly metabolizing fat. This is the CRUCIAL KEY missing in most weight loss programs because if the liver cannot metabolize fats properly, fat gets stored instead of burned off. This causes weight gain. Most people find a significant increase in their energy level after they've completed this program. The program can be extended for longer periods if needed. More about The Liver Regeneration Program. This digestive formula should be taken with meals to help weak digestion or indigestion. One of the leading causes of obesity is improper digestion of foods. Undigested foods end up as waste products that the body stores as fat. I've known even the worst cases of indigestion to respond to this potent formula. More about The Digestive Formula. In cases of low thyroid function, the Adrenal Support Formula is excellent for rebuilding and strengthening the entire hormonal system, including the thyroid. After the age of 40, most people experience a slowing down of thyroid function. This formula works for men as well as for women. More about the Adrenal Support Formula. Optional: for even more energy, try my Cayenne tincture. Not only does it help speed up the metabolism naturally, but it also helps heal heart and circulatory problems. Cayenne activates every organ in the body, including the thyroid gland which is crucial for regulating metabolism. A healthy thyroid is associated with a healthy weight. Start with 5 to 10 drops once daily and very gradually increase to one dropper full three times a day. Remember, these are extra strength formulas. The same results that my clients achieved cannot be obtained with store-bought formulas. One would have to double, triple or quadruple the doses of store-bought formulas in order to get an effect. By this time, one is usually drunk from all of the alcohol-based formulas. These formulas in stores are mostly alcohol with only a bit of herbs. My formulas are mostly herbs with only a bit of alcohol. Products come with full instructions for use. The great thing about this program is that you never have to sacrifice your health in order to lose weight. Not only will you be healthier, but you will be positively radiant. You will both look and feel younger as you continually progress on this program. Here's to the Slimmer New You! He Does, He Should Do With All His Might."